For more information about Foundation Programme at University of New York in Prague, please visit the webpage using the button above. 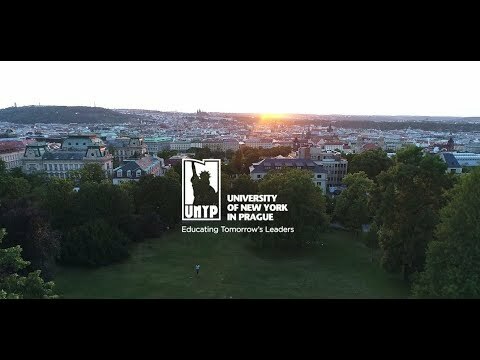 The University of New York in Prague teaches exclusively in English, and we therefore require that all students have sufficient English language skills to benefit from our degree programs and contribute to the classes. The goal of the Foundation Program is to improve the English language skills of prospective UNYP students so that they can qualify for a degree course. Credits awarded for courses on the ESL2 program may be applied towards a UNYP bachelor’s degree. Applicants for bachelor's degrees who score between 49 and 69 out of 120 on the UNYP institutional English language test (or the equivalent on other internationally recognized tests of English listed in the table below, or as approved by UNYP's Foundation Program Advisor and/or Rector) and who fulfill all other requirements for admission may be admitted conditionally to the UNYP Foundation Program.